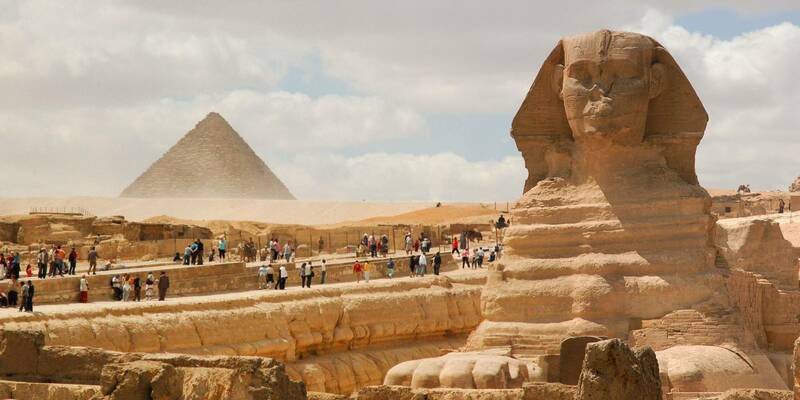 Discover the Egyptian pyramids on this private all-day tour with a guide. During your visit to the Giza pyramids, you’ll also be able to enter one of the pyramids, ride a camel, or visit the Giza Solar boat museum (all for an additional charge). Then, stop at Sakkara, the graveyard of the pharaohs, followed by Memphis, the oldest capital of ancient Egypt where you can see the limestone statue of King Ramses II. The last stop of the tour is Dahshur to check out the famous Red and Bent Pyramids. At 7:30 am you need to be ready at the lobby area of your hotel in Cairo. you will find your expert tour guide holding a sign of your name. 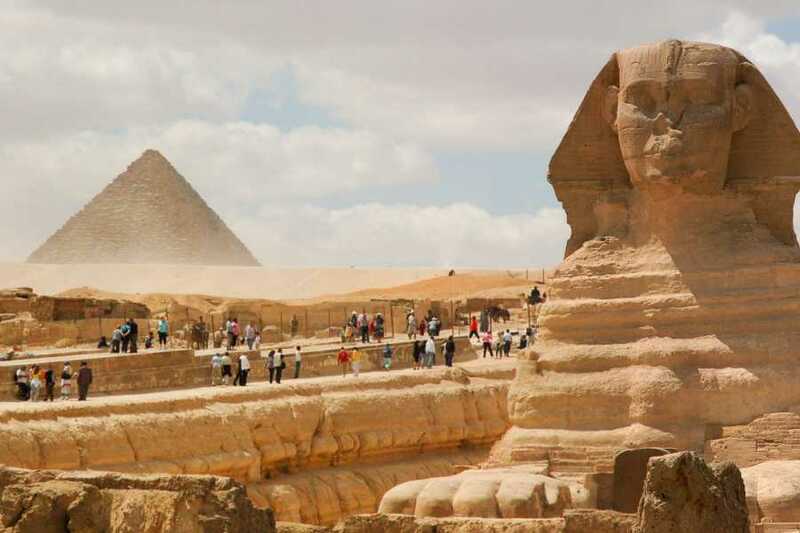 At the first stop you will visit the great pyramids of the pharaohs of the 4th dynasty who built the great pyramid of King Cheops, the second pyramid of Chephren and the pyramid of Mekarenous, the famous statue of the Sphinx and the valley temple which was used for mummification process. During your tour at Giza pyramids there are other activities available to do such as going inside one of the pyramids, ride a camel or visit the solar boat museum at all of these activities (extra charge) and your tour guide can provide you with honest advise and assistance. At the second stop you will visit Sakkara which was the grave yard of the pharaohs at the old kingdom time this sightseeing is very famous for the first pyramid complex ever built in Egypt devoted for King Zoser and built by his wise architect Imhotep where you will see the step pyramid, the papyrus columns and the remaining of the enclosure wall. an opportunity for Lunch in between visits (not included). At the third stop visit Memphis the oldest capital of ancient Egypt where you see the laying down statue of King Ramses the second which made aut of one piece of limestone weighted 120 tons the visit the alabaster statue of the Sphinx which weghted 80 tons and there are other artifacts displayed within the same area.Last stop visit to Dahsure where you see two famous pyramids the Red and the Bent pyramids which are over than 100 meters high over there you will have the chance to go inside the Red pyramid for free After you finish your tour drive back to your hotel (original start point) at 16:00pm.